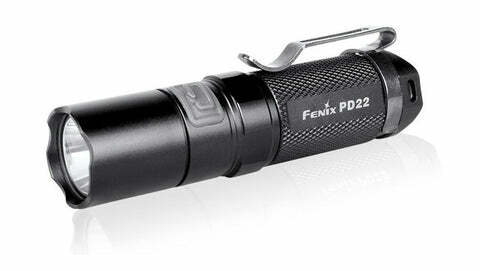 I have some Fenix PD22S2s from 2012. Now that the "new" model is available, I'm closing out the "old" model. Mind you there is only a 10 lumen difference in the brightest mode between the two models. At the time of posting I have 17 left. I'll be selling these for $50 shipped to anywhere in the US. You'll need to use coupon code "PD22S2" at checkout. If you have any issues or questions, use the Contact US tab at the bottom left of the web page. These are fantastic little lights. They run on a single CR123A, provide 200 lumens of output and are small enough to make a perfect EDC light.